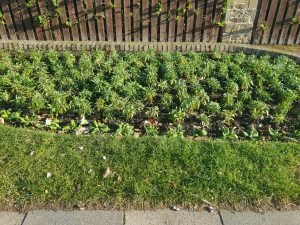 The Town Council has an agreement with Northumberland County Council for the provision of seasonal planting around the town. 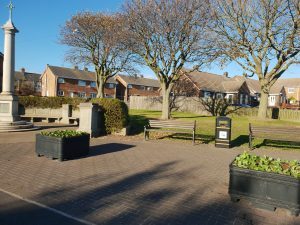 Northumberland County Council’s Neighbourhood Services team have been hard at work planting approximately 8000 bedding plants around the town. The mixes of wallflowers, polyanthus and bellis will certainly brighten up Newbiggin over the coming winter months. We are certainly looking forward to seeing the colourful array in full bloom and thank the team for their hard work in undertaking this massive task.